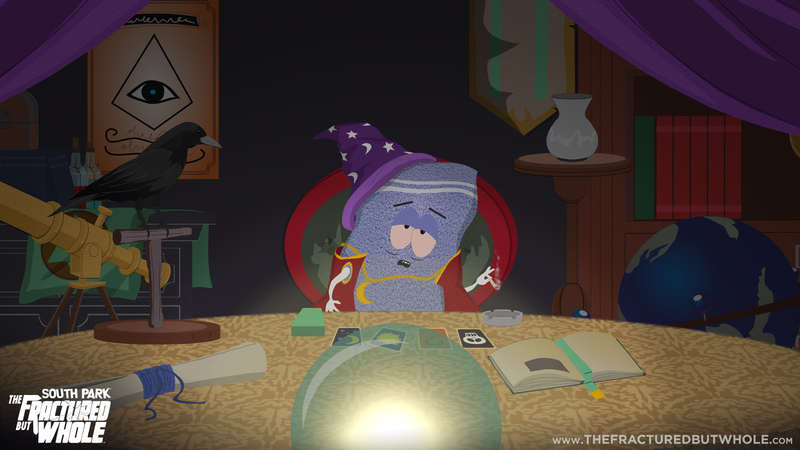 This highly anticipated sequel features more than twice as much content as South Park: The Stick of Truth. 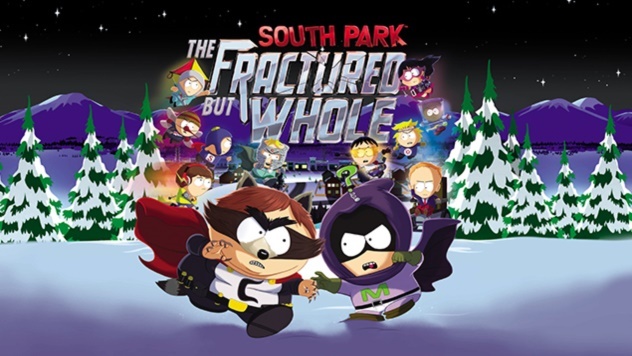 Created, written, voiced, and directed by Trey Parker and Matt Stone, South Park : The Fractured But Whole is authentic, interactive South Park at its finest – hilarious, outrageous, and a whole lot of fun. Everything is bigger, longer, and goes deeper than before. 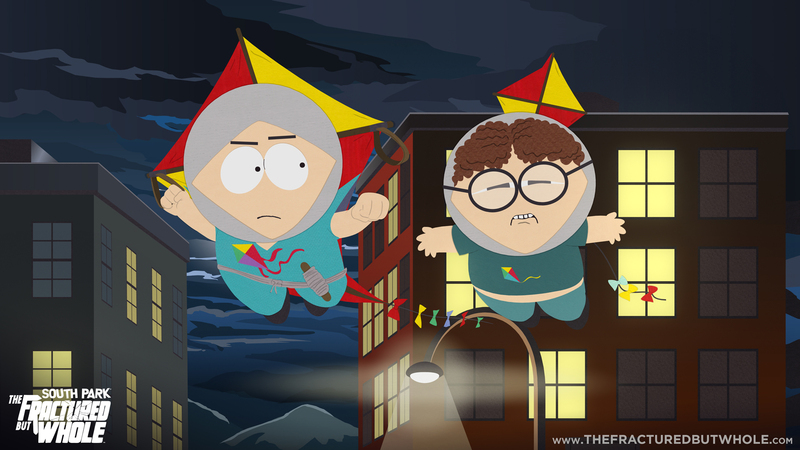 Come on down to South Park and have yourself a time. 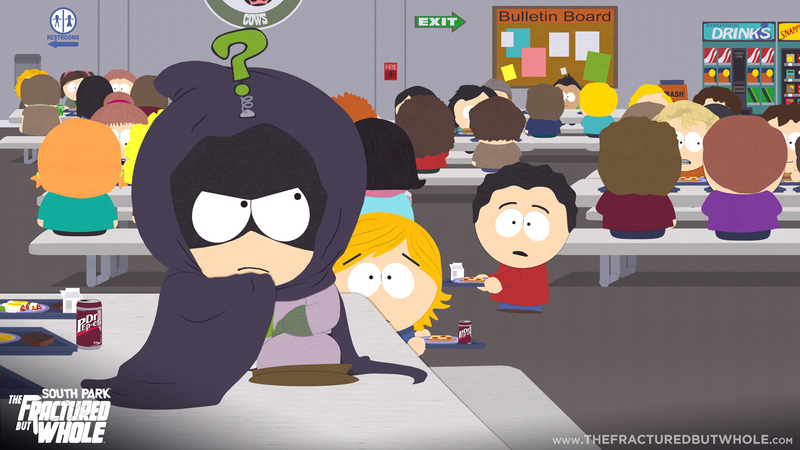 Mysterion’s sister is in trouble. 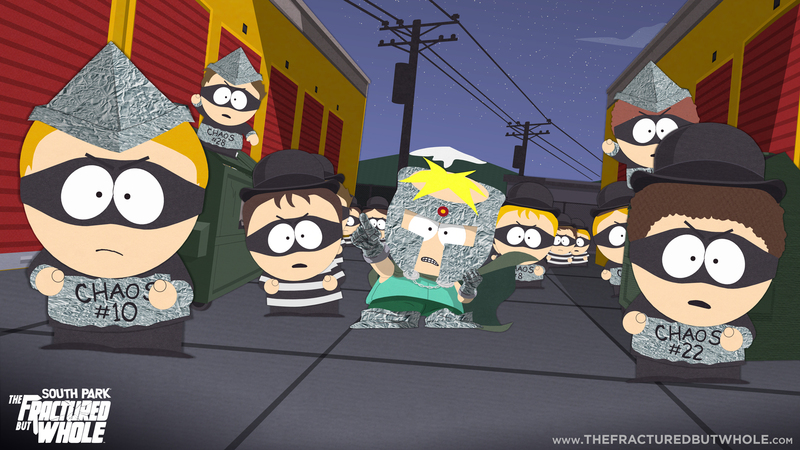 She’s fallen in with the Vamp Kids of South Park, who have descended upon Cartman's favorite restaurant, Casa Bonita. Visit the famous family eatery and explore Black Bart’s Cave, watch the cliff divers, taste the magic of Mexico and defeat the brood of Vampires. Download now: PS4, Xbox One or PC. 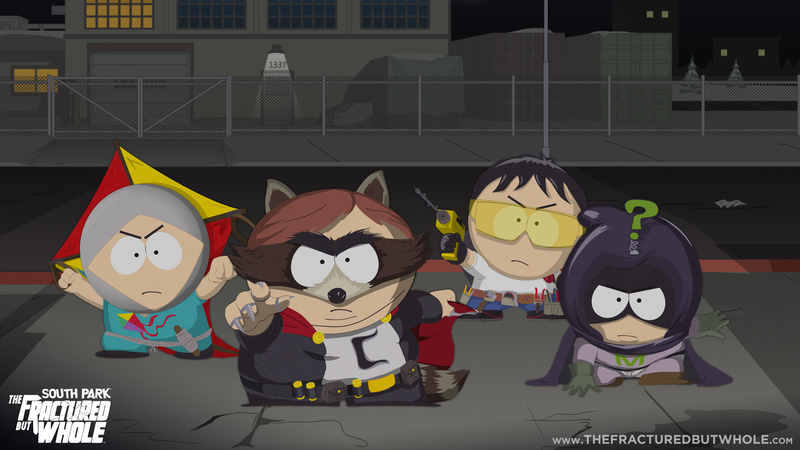 Continue your superhero adventure with a Season Pass for South Park: The Fractured But Whole. 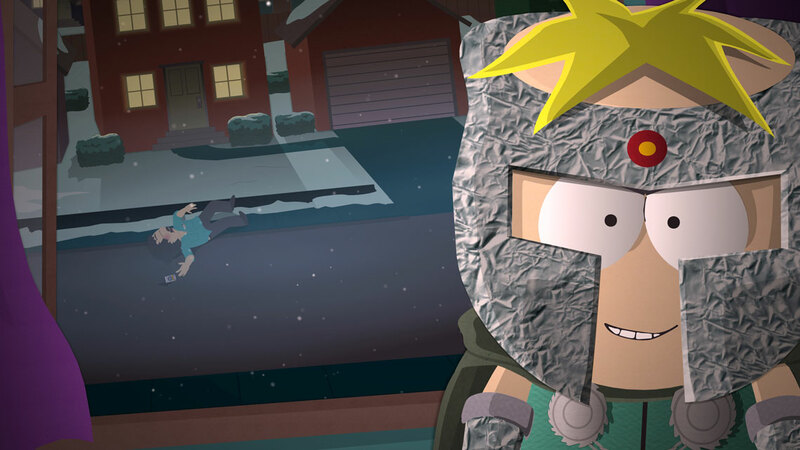 The Season Pass adds the "Relics of Zaron – Stick of Truth Costumes and Perks" pack, Towelie game tips, new combat challenges, two new story missions, including new combat buddies and new superhero costumes. 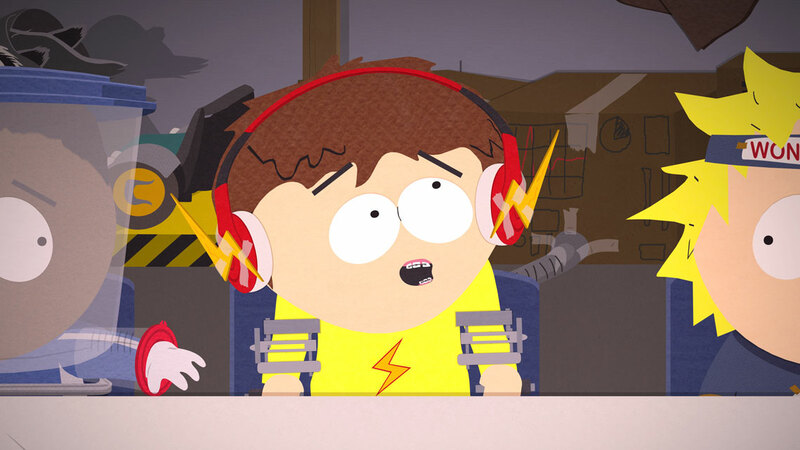 Get the Season Pass on: PS4, Xbox One or PC. 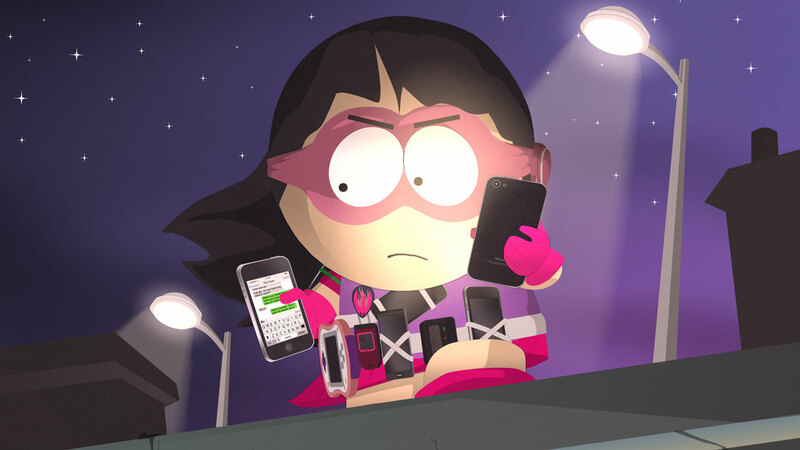 The challenging Danger Deck will teleport you to various locations throughout South Park to fight enemy encounters custom crafted by Tupperware. 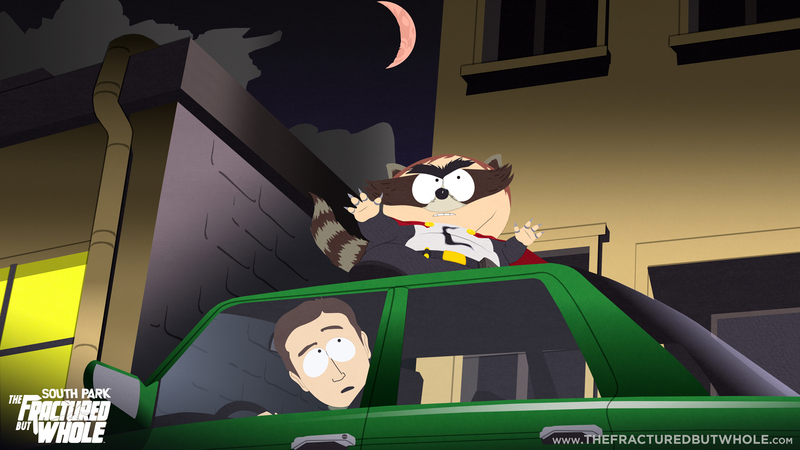 These increasingly difficult battles will test and push the limits of any superhero. You’ll be rewarded with items and costumes that are also usable on alternate playthroughs of the game. 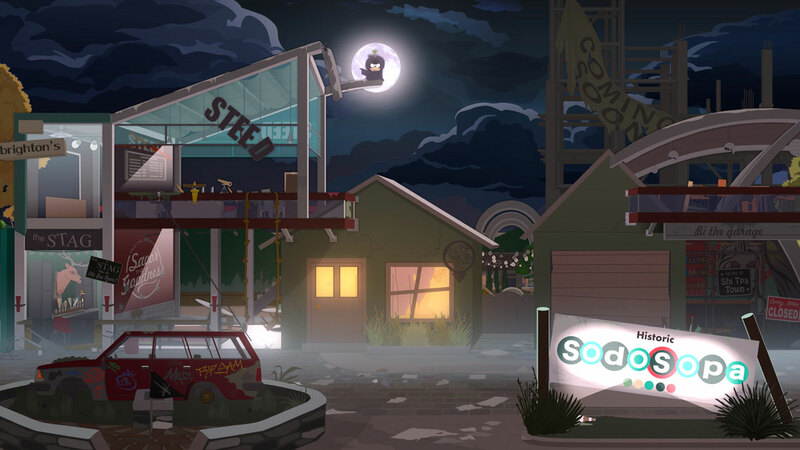 SOUTH PARK™: THE FRACTURED BUT WHOLE™ DLC 3 BRING THE CRUNCH IS AVAILABLE NOW! Team up now to save summer camp!